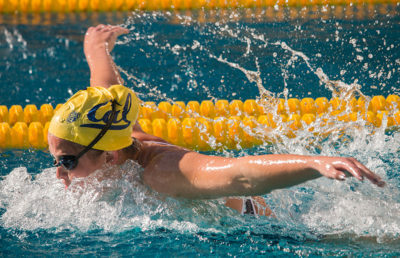 Cal women’s swim hasn’t competed in a month, but the No. 5 team in the nation doesn’t acquire rust easily — especially in its home water. The Bears are undefeated in Berkeley but as they prepare to host No. 20 Arizona, along with Arizona State — a team just shy of the top-25 rankings — they’ll have to be wary of the double header putting them on upset alert. 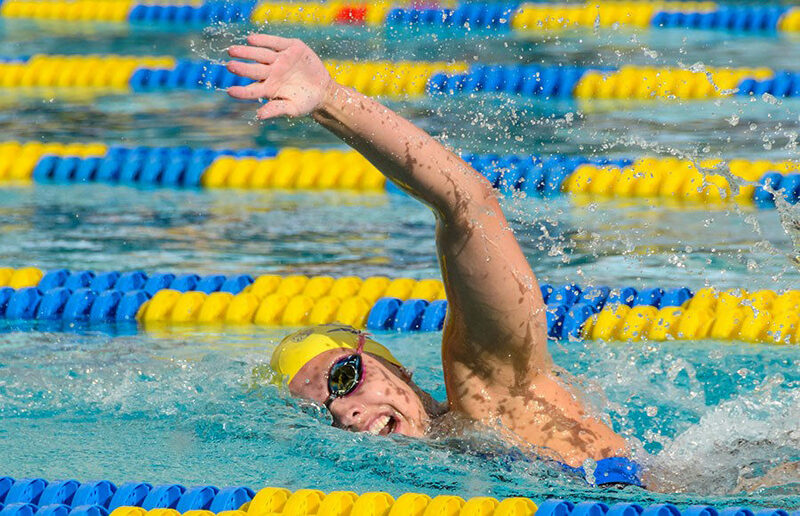 This will be the Bears’ first meet of the calendar year, with the fun beginning Friday with Cal taking on ASU. The Sun Devils are the weaker of the two teams, but that is not to say they are not a serious threat in the pool. Bears’ freshman Ali Harrison will have her work cut out in the 100- and 200-yard breaststroke events. Harrison holds the top times in both events for Cal, but she will likely be chasing ASU sophomore Silja Kansakoski down the stretch. Harrison’s top time in the 100 breast of 1:00.54 is about two seconds behind Kansakoski’s best of 58.96. The story is the same in the 200, where Kansakoski’s best time is more than three seconds faster than Harrison’s 2:10.92. Another race that should come down to the wire is the 400 individual medley, where freshman Sarah Darcel will go head-to-head with junior Marlies Ross of the Sun Devils. Darcel holds the slight edge, posting her highest time in the event at 4:06.58, while Ross comes in at 4:07.65, resulting in a gap in time nearly imperceptible to the naked eye. On Saturday, the Bears will have an even larger task on their hands if they want to hand the Wildcats a loss. Arizona holds a top time advantage over Cal in three events — the 500 freestyle, 1650 free and 100 breast. In the 500 free, Cal’s junior Katie McLaughlin is poised and manufactures long strokes, but she will have to up her ante against Wildcat sophomore Hannah Cox, who’s more than a second faster than her in the event. In the 100 butterfly and 200 freestyle, the Bears hold faster records than the Wildcats — albeit at only a slight margin. These events will be up for grabs with no guarantees of a Cal win; one slightly off turn or one imperfect lap could mean the difference between first and second. Both ASU and Arizona have lost to USC, a competitive squad that is ranked six places lower than Cal at No. 13. This fact helps Cal’s case in coming away with the weekend sweep — one that the Bears need if they want to work their way up the rankings. With its last three meets of the season taking place on the road, Cal has the chance to solidify a winning home record (6-0) — a feat that it came short of accomplishing last season — and extend its overall record to 7-0. One thing’s for sure: The road to perfection is far from a swim in the park.